E3G’s Tom Burke looks at the IEA’s annual World Energy Outlook, highlighting the contrast between the technological and economic possibility of carbon neutrality in the short-term, and the seeming political impossibility of getting there, despite the severe risks associated with delay. Our favorite line: “economies will eventually recover, the climate is for ever.” It’s worth a read. This is a cross post of Tom Burke’s piece at E3G that originally appeared here. December, it is turning out, is actually the cruellest month. It is when nations normally meet every year to make progress on tackling climate change. This year, they will meet in Durban. Do not expect too much. What it does not tell us is that the long term is getting shorter. The assumption of most political and business leaders and media editors is that this means somewhere beyond the end of this century. In fact, it is increasingly clear that we may find ourselves living in a world 3.5°C warmer by around the middle of this century. That is within the lifetime of many of the carbon intensive investments being made today. So we have a paradox. 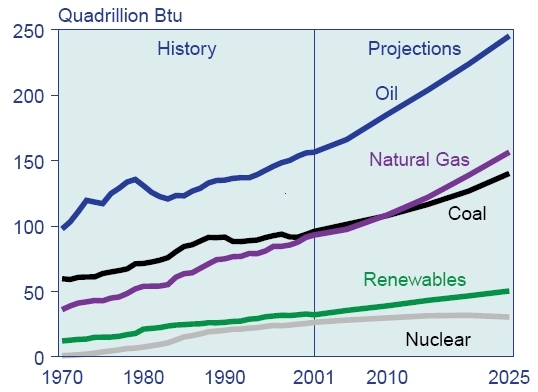 The investments needed to meet these projections, in tar sands, shale gas, coal mines and power stations, are capital intensive as well as carbon intensive. To deliver value to shareholders – or put another way, to pay for our pensions and public expenditure – these investments require long term political, economic and social stability. But if they succeed they will change the climate and undermine the food and water security on which that stability depends. I am reminded, at this point, of an early Bob Dylan song which contained the opaque, but wonderfully prophetic, line ‘there’s no success like failure and failure is no success at all’. The IEA goes on to warn that by 2017 the investment driven by current policies will have locked-in all the emissions permissible on a path to keeping the temperature rise to the 2°C that is now widely agreed by governments to be the threshold of manageable climate change. It does not go on to explain the obvious corollary, that, therefore, if you want to stay below 2°C, all subsequent energy investment would have to be carbon neutral. Only if much more aggressive climate policies are adopted globally can this inflexion point be delayed and the option of manageable change to the climate be kept open. This is not yet technologically impossible and is certainly not economically impossible – as the IEA has previously pointed out, most of the additional cost of achieving carbon neutrality will be paid for by the avoided cost of oil. What will be tested in Durban, however, is whether it is remotely possible politically. There the prospects make ‘grim’ seem positively cheerful. Critics of the UNFCCC and the Kyoto Protocol make the mistake of thinking that there is a problem with the process. They believe that somehow if we adopted a different process, with fewer players and less demanding requirements, we would do better. But whatever process you choose, the politics of achieving the goal, remain the same. The voluntarist approach advocated by some, especially the United States, under the banner of ‘realism’ is a seductive delusion. It is a sly way of giving up on the goal while seeking to avoid blame for the consequences. There could hardly be a worse time politically to have to deal with a global problem this difficult. Governments are distracted and constrained by the current economic crisis. They are faced by some deeply entrenched economic and political interests antagonistic to climate policies. They are also faced with dysfunctional relationships both between and within government and business and a growing public loss of confidence in political leaders everywhere. To maintain a stable climate, investors must be persuaded that governments are serious about putting in place policies that will drive economies towards a low carbon future. The climate challenge, it turns out, has much in common with that of restoring confidence in the Euro. Both are crises of political will. The economic turmoil of the past few weeks is caused by investors losing confidence that Eurozone governments will adopt the policies needed reduce their debt. There is no lack of awareness of the consequences of policy failure. And definitely no lack of policy options. But there is a massive lack of willingness on the part of incumbent politicians to make the necessary hard choices. The economic outcome has been a stuttering series of policies all fitting comfortably into the category of too little too late. The tempo on climate policy may be much slower, but the trajectory of policy development is identical. We are doing too little, too late. This was the clear message of the IEA report. There is, however, an important difference: economies will eventually recover, the climate is for ever. Public discourse on climate change is currently asymmetric. It is dominated by a small number of voices from those who are changing the climate. We hear practically nothing from those whose climate is being changed. Governments are responding to the interests of climate makers – the energy producers and their largest customers rather than those of climate takers – pretty well everyone else. Were we paying more attention to the climate takers, the parallels with our current economic crisis would become even more apparent. By avoiding hard choices the world’s political leaders are running up a vast carbon debt that will eventually have to be paid for. In the process, they are, as Nick Stern made clear, exposing the global economy to a systemic risk far more serious than that the bankers have taught us to fear. What happens in Durban matters a lot more than most people realise. Tom Burke is a founding director of E3G and a visiting professor at Imperial and University Colleges, London. He also advises Rio Tinto. This article was written by Tom Burke for the Political Commentary in the ENDS report. By Francesco Femia & Caitlin Werrell in climate change, energy, IEA on November 17, 2011 .